Why is it that so many people are becoming gluten or dairy-free? Is this a 20th century fad, or is there a genuine need? There’s certainly a growing demand – there has been a dramatic increase in food allergies and intolerances over the past decade. In the UK alone, food allergies affect 8% of children and 2% of adults. Up to 20% of the population experience some kind of reaction to foods, and both gluten and dairy are in the top three food allergies. • A food allergy is when your immune system reacts to a specific protein found in certain foods. Symptoms can be severe and in some cases life threatening. • A food intolerance doesn’t involve the immune system. It is caused by difficulties in digesting certain foods (most commonly lactose and gluten). Food intolerances aren’t life threatening, but can cause a range of unpleasant symptoms such as diarrhoea, bloating and abdominal pain. We’re less exposed to bacteria and germs from an early age than we have been in the past. This may be weakening our immune system later in life, making us more susceptible to developing allergies. Overuse of antibiotics and our modern-day diet, which is high in processed foods and sugar, can lead to an imbalance in gut bacteria (called ‘gut flora’). Our gut flora is composed of a diverse range of naturally occurring beneficial and non-beneficial bacteria. Genetics can also have an influence. Allergies often run in families, and can worsen over many generations. 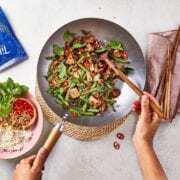 We’ve recently added a ‘Gluten Free’ collection of recipes to the Gousto menu, to help make home cooking easier for those affected by eating gluten. 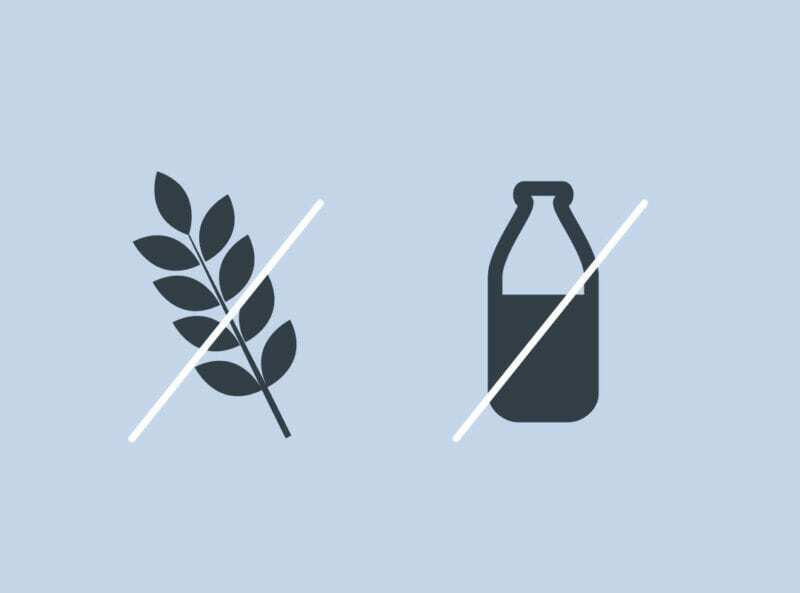 Gluten is a protein found in some grains, for example wheat, rye and barley. 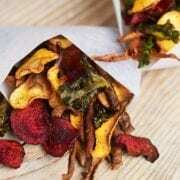 It’s also often found in other foods such as stock cubes, sauces and processed foods. Some people are sensitive to gluten, whilst others have made a lifestyle choice to be gluten-free. 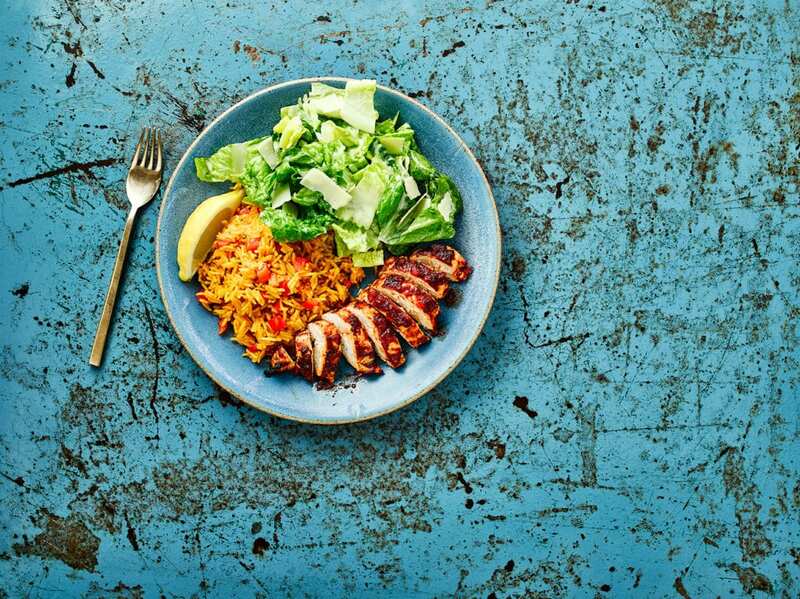 ‘Peri Peri Chicken, Spicy Rice & Salad’, from Gousto’s gluten-free recipe collection. For those who suffer from coeliac disease, an autoimmune condition which affects 1 in 100 people in the UK, exposure to gluten causes the immune system to attack healthy body tissue in the gut lining. They cannot tolerate gluten at all, so have to follow a completely gluten-free diet. Many people who follow a gluten-free diet find that it improves symptoms associated with digestive disorders including Crohn’s disease and irritable bowel syndrome (IBS). 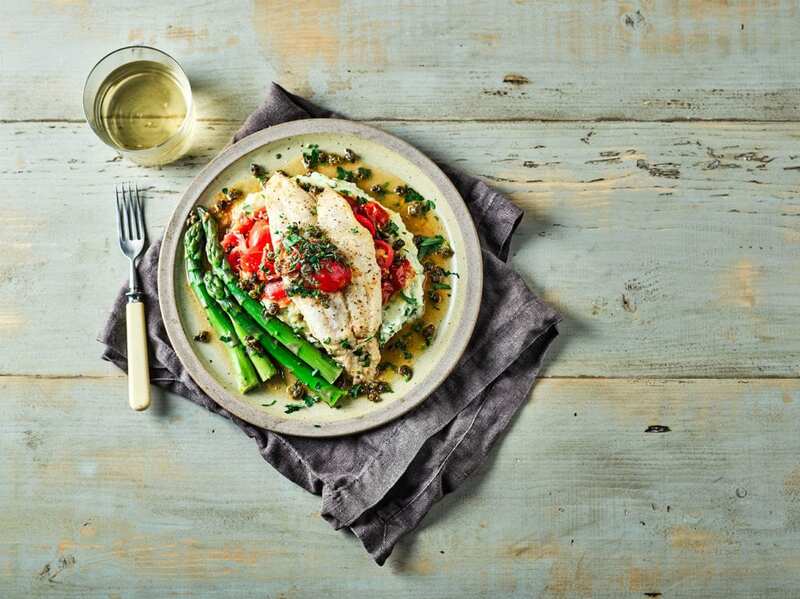 ‘Baked Fish with Tomatoes & Olives’, from Gousto’s gluten-free recipe collection. 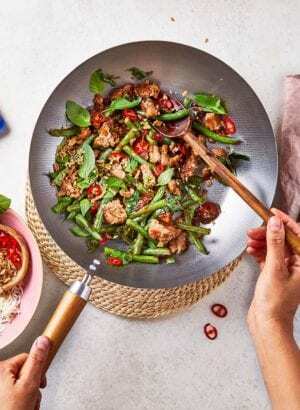 We’ve also added a ‘Dairy Free’ collection of recipes to the Gousto menu. 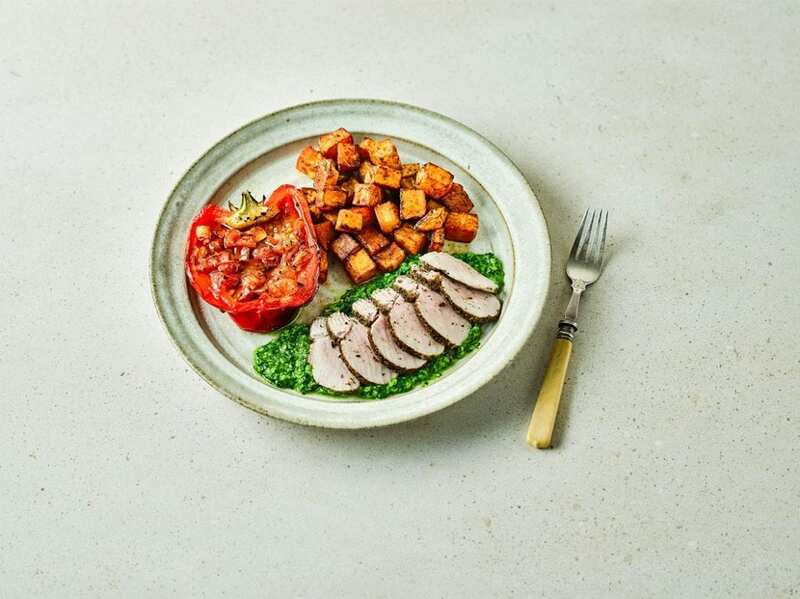 ‘Spanish Pork Tenderloin & Salsa Verde’, from Gousto’s dairy-free recipe collection. The most common reasons people avoid dairy is because they either have a milk/dairy allergy, or they are lactose intolerant. Lactose is a sugar found in most dairy products; there are some people who lack the digestive enzyme lactase, which is needed to break down lactose. Without this enzyme, they are unable to tolerate foods which include lactose. This includes not only milk and dairy but also some processed foods, biscuits, sauces, cakes and chocolate. 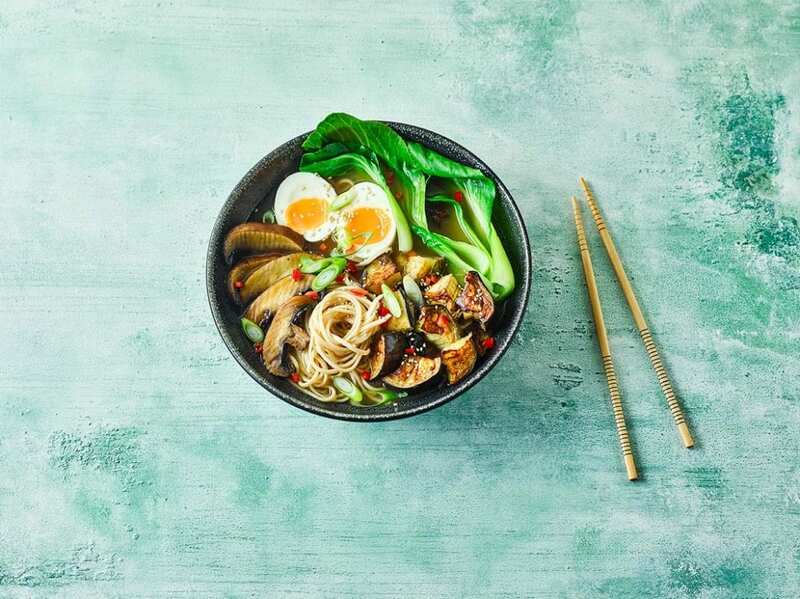 ‘Three Vegetable Miso & Sesame Ramen’, from Gousto’s dairy-free recipe collection. Some people who are lactose intolerant can tolerate a small amount of dairy, whereas those who have a milk allergy should avoid all foods which contain dairy. Following a gluten and dairy free diet is much easier these days with the increasing availability of ‘Free From’ foods and recipes. Cook your meals from scratch! That way you have complete control over what goes in to your meals. 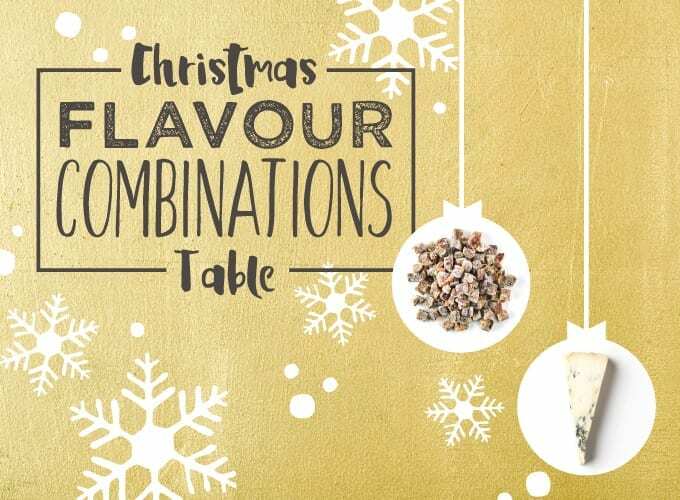 Gousto offer a good choice of both gluten-free and dairy-free. Check food labels – There are many hidden ingredients in foods! Seek the advice of a health professional if you think you have an allergy or intolerance. Look after your immune system! Eat plenty of fruit and vegetables, and avoid too many processed foods. Look after your gut! Include prebiotic and probiotic foods in your diet such as kefir, live yoghurt, (unless you have a milk allergy), fermented foods, garlic, onions, and Jerusalem artichokes. 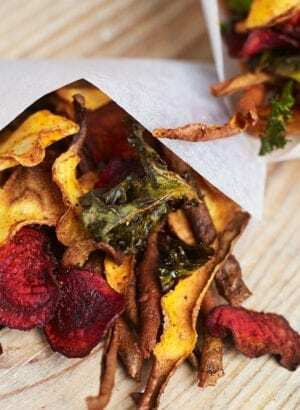 Make your intolerance or allergy clear to restaurants – most now offer alternative options. Plan ahead. Plan meals and shop for the week ahead. If you are travelling bring suitable snacks, so you don’t end up without access to suitable food.